The total number of app downloads in 2018 was 205.4 billion according to Statista, which is projected to reach 258.2 billion by 2022. While another report by App Annie says that smartphone users use an average of nine apps per day. However, while all these applications are supposed to make our lives easier, remembering the login details of each one is nearly impossible. Unless you use a universal password, making your most sensitive data a sitting duck for hackers. Password managers save all your sensitive details like passwords, insurance cards, credit cards, etc. So, instead of remembering dozens of different passwords, all you need to remember is only one (of the password manager). Now, there are several password managing tools out there in the market. And luckily almost all of them come with free versions. But which one should you go with? Here, I’ve reviewed 5 different password managers to find out the best one for you. Let’s get started. For me, a great password manager should be super-easy to use while protecting my data using the highest security technology and should provide advanced features like multifactor authentication, autofill, and easy sharing. Now let’s see how these 5 password managers performed in my test. 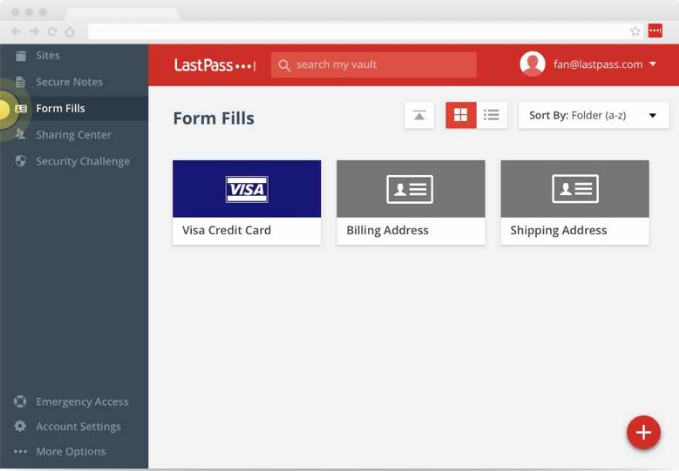 LastPass is the leading password manager company which remembers all your password and sensitive details (like credit card, internet banking, insurance cards, membership etc.) and is trusted by more than 16 million users according to their home page. What gives it a slight edge over other similar tools is its dead-simple user interface and robust set of features which is matched only by Dashlane (I’ll talk about it in a minute). #1 Simple and easy user interface: What’s the use of a powerful tool when you can’t even find its basic features, right? However, when you login to your LastPass account, it won’t let you down. The first thing you see is this dashboard which is clean and easy to navigate. Fill in the details like Url, site name, username, password etc. and hit ‘save’. That’s it, you’re good to go. #2 Form Capture:In my testing, I found that LastPass is one of the few tools that offers this feature and that sets it apart from its counterparts. Once you’ve saved the username and password for a site, you can launch that site straight from your dashboard. So, no need to to go to that site in a separate tab, open the login page and then autofill the details. You get the same thing when you save your card details. #3 Multifactor authentication: Two-step authentication is great to make sure no one else access your password manager without your prior permission and I found that every password manager I tested offers this feature. But multifactor authentication adds an extra layer of security and only the selected ones offers this to their users. And LastPass is one of those tools. But the catch is, it’s available only in the premium plans. #4 Strong password generator: Having trouble coming up with strong passwords on your own? 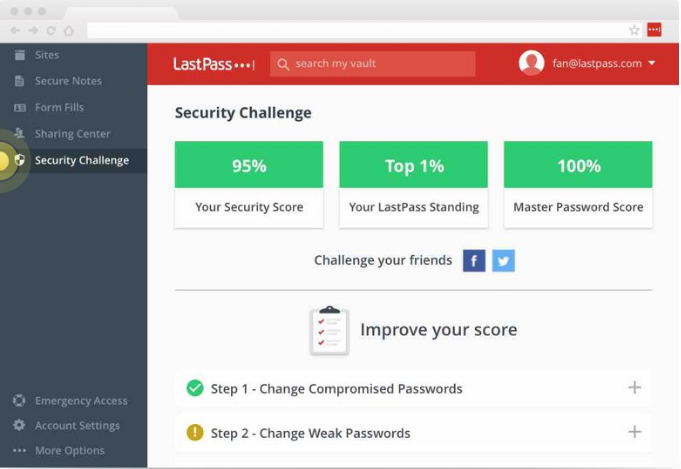 Don’t worry, LastPass got you covered. 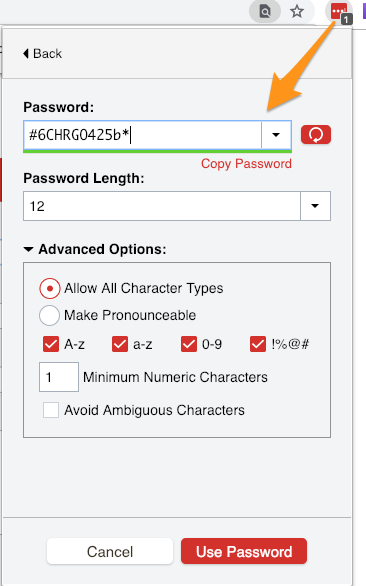 The password generator tool of LastPass automatically generates and suggest such strong, random passwords to you that it’d easily take a life or two for the hackers to decode it. And you don’t need to do anything fancy here. Just follow the basic steps of adding a site on LastPass (using the ‘+’ icon in the bottom right corner), and when you fill the details, LastPass automatically suggests a password for that site. You can also generate them at will for any site, like Gmail, based on any number of letters, numbers, or symbols. 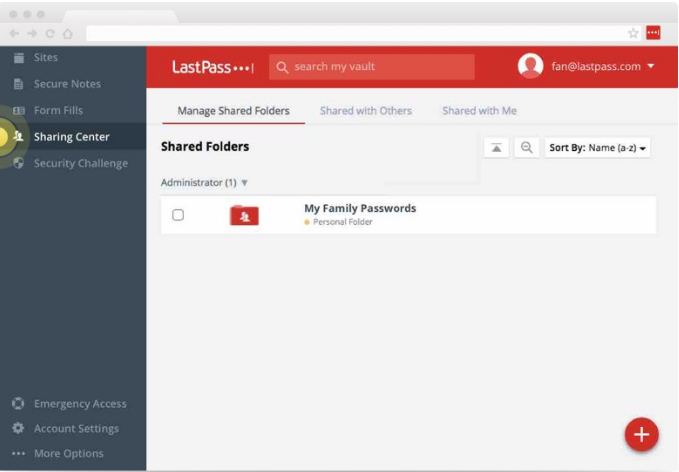 #5 Compatible with all devices and browsers: LastPass works with all the devices, whether you’re using an Android phone or iOS, Windows or Mac or even Linux, it works smoothly. But just keep in mind, every time you try to login with a new device, it sends a verification email to your registered email ID and asks you to verify your new location. Besides this, it supports all the prominent browsers like Safari, Chrome, FireFox, and Edge. I’m using it with Chrome and I haven’t faced any issues yet. #6 Audit report: Another thing that impressed me a lot about LastPass is its audit reports. It not only shows you your security score and master password score (that means how strong your passwords are), it also points out the weak and compromised passwords and suggests you to change them with a stronger one. And all this, with just one click. Click on the “Security Challenge” option in the left pane and you’re done. #7 Easy sharing with other users: As I mentioned in the beginning of this post, the convenience to share passwords with other users was one of the prime matrix I wanted to see in a password managers. And LastPass excels in it. It lets you share folders and passwords with other users by just clicking a couple of times. 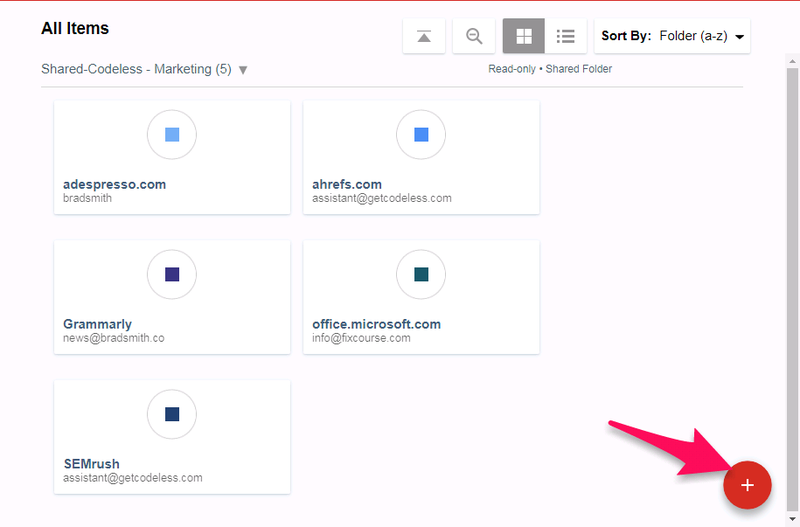 All you have to do is, go to ‘Sharing Center’, hit the ‘+’ icon and choose ‘Create a new shared folder’. Now feel free to add as many users as you can. #Slow Customer Service: Though I didn’t face any issues while using the tool and it’s knowledge base is quite diverse where you can find the answers of most of the common questions related to the product, my experience with the customer service of LastPass was not so good. I reached out to them to ask a question and instantly got a ticket, it’s been more than 36 hours and I’m still to hear from them. For a company that checks all the boxes when it comes to its product, a bad or rather slow customer support is a big blemish. And that too, I am using a premium account and they say, they serve the premium customers first. #2 Don’t offer any VPN: While one of its close competitor ‘Dashlane’ offers a VPN in case you’re working in a public network, LastPass offers no such thing to its users. LastPass is one of the cheapest tools in the market. It comes with a free version with, of course, limited features but it’s premium plans starts from as low as $2/month when billed annually. Yes, a big yes. 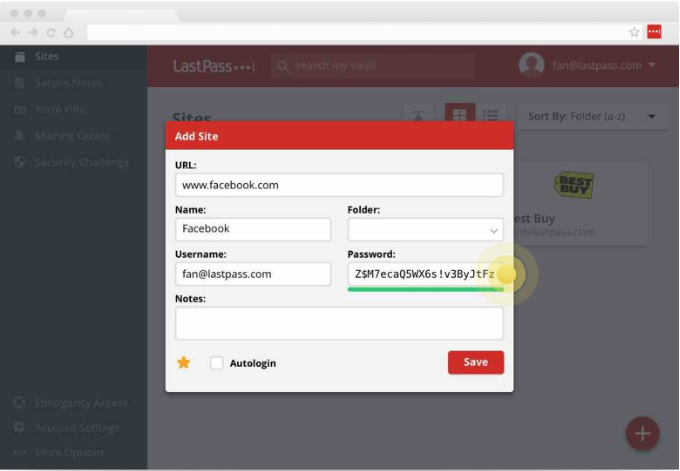 Looking at its robust features, easy to use interface and very low cost, LastPass is steal for any user. I highly recommend it. Currently Dashlane is one of the most popular password manager and is often gets compared with LastPass for the number of features it offers to its users (includes a VPN that no other company offers). Let’s quickly take a look at the pros and cons of this tool to find out whether it’s actually better than LastPass (that many users think) or misses the mark by a point or two. #1 Easy user interface: The first thing any user notices in a tool is how easy it is to use. And Dashlane gets full point in this. It has a very clean and easy to navigate dashboard which is quite similar to LastPass. 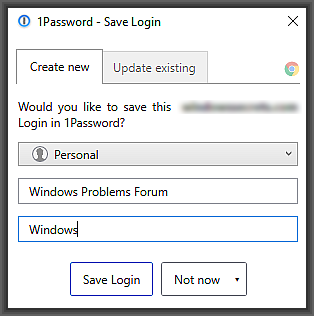 In the left pane, you have three options – Passwords, Secure Notes and Payments and in the bottom left you have ‘My Account’ that takes you to account settings. Fill all the details and hit ‘save’. Your data is saved. Do the same procedure to save your card details, notes or anything else. 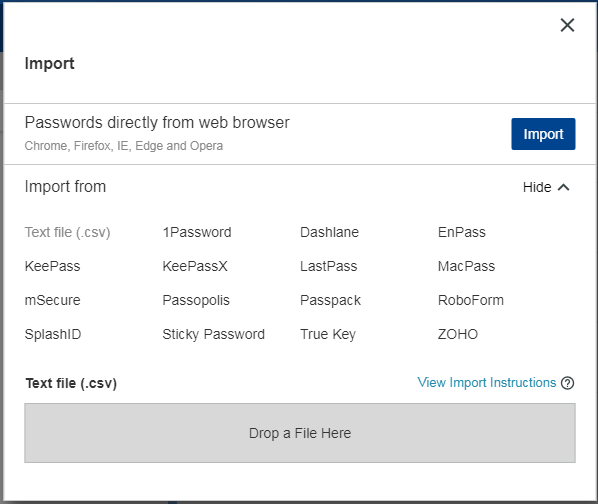 #2 Password generator tool: The second biggest strength of Dashlane is its password generator tool that produces ‘hacking proof’ passwords for you. So if you’re having any trouble coming up with a strong password on your own, leave it on Dashlane. #3 Compatible with all the devices:Like LastPass, Dashlane is also compatible with all the devices and supports every prominent browser like Chrome, Safari, Edge, FireFox etc. So, you never miss your passwords no matter where you go. 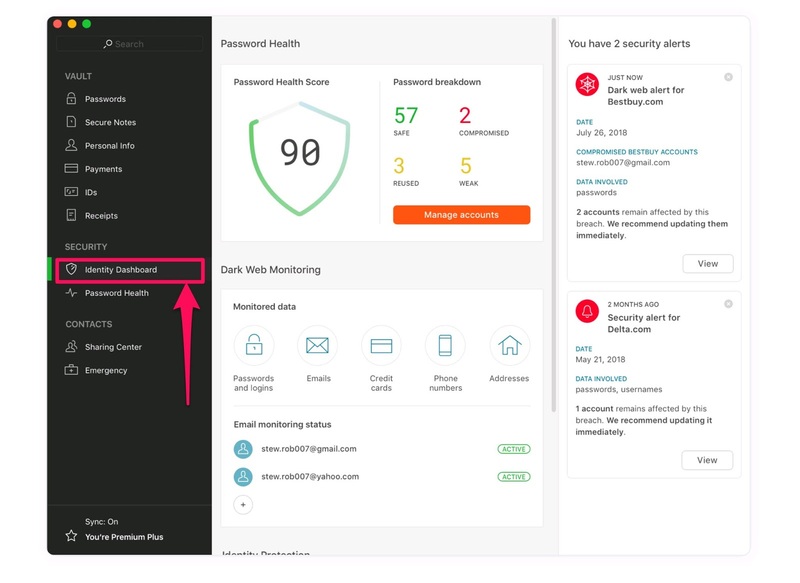 #4 Audit reports: Dashlane’s audit report also known as ‘Identity Dashboard’ is one of the best and most comprehensive among all the other tools. Along with telling you the overall ‘Password Health Score’ (how secure and strong your passwords are), it also points out the weak passwords and suggest better replacement. Now, if you’re that’s all it shows in its report then you’re wrong. Password Health is just half the story. There’s another section called ‘Dark Web Monitoring’ that monitors all the passwords and logins, emails, credit cards and phone numbers. #5 Great customer support: A great customer service is directly related to great customer experience and Dashlane is only second to 1Password in this section. Though I didn’t face any major problem using the tool, when I contacted the Dashlane customer support to ask a general question about their product, Mitch, one of their customer support agent, got back to me within 10 hours with an awesome answer. #6 A dedicated VPN for public WiFi: Using a public WiFi to accessing your most sensitive data is like inviting the hackers to play with your information. But Dashlane leaves no chance for these hackers. It provides a dedicated VPN to its users which they can use while working in a public server. And for your information, Dashlane is the ONLY tool that offers this service. However, it’s available only for the premium users. #1 Most expensive in the lot: Dashlane is the most expensive among all the other tools I tested. Sure, it has a free version with limited features, its premium services starts from $3.99/mo if you want to pay annually. #2 No multifactor authentication: One of the biggest drawbacks of Dashlane is the absence of the ‘multifactor authentication’ feature. 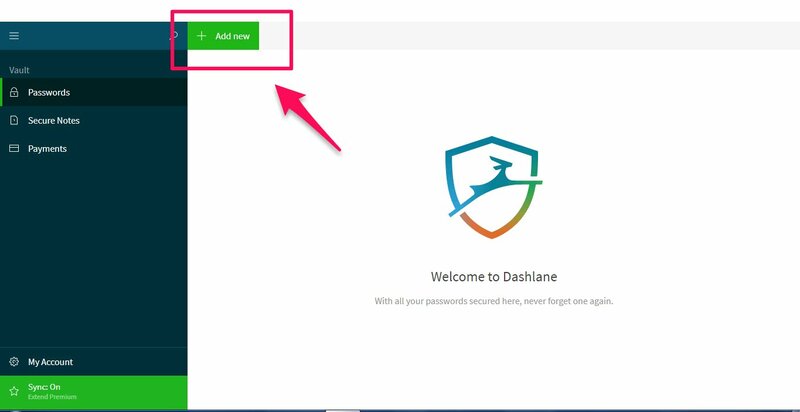 While the major players like LastPass and 1Password offer this feature to their users, Dashlane only offer the 2 step verification to the users. #3 The autofill feature stops working sometimes: There’s no doubt Dashlane is one of the best password managers one can have but the only issue (although small) I faced a couple of times is with its autofill feature. Sometimes it doesn’t fill the login forms even though you’ve saved the site url and all the login details in your vault. In such case, you’ll have to open the vault and copy and paste the login details. As I just mentioned a while ago, Dashlane is one of the most expensive password manager tool available out there. It has a free plan with limited features and the premium plans starts from $3.99/mo when billed annually. Do I recommend using Dashlane? Definitely yes. The number of features it offers to the users, its clean dashboard plus a dedicated VPN worth the amount it charges. 1Password is another great tool that does the exact same thing the other tools do. With more than 15 million users – according to their Tour page – it’s the second most popular tool in my lot. Equipped with 256-bit AES encryption technology, it’s pretty secure just like all the other tools I tested. Now, let’s take a look at what are the biggest advantages as well as drawbacks of using 1Password. #1 Form capture feature: While the user interface of 1Password is not very handy (I’ll come to that in a moment), it’s form capture feature is exceptional. When you first login to any site for the first time, 1Password shows this pop-up window where you can save all the details and then save the form in your vault for future use. #2 The safest login: When you try to login to any password manager tool, all it’d ask for is your email and master password, but when you login to your 1Password account, along with your email and password, it also asks for a ‘secret key’. A ‘secret key’ is a unique key that you generate when you first sign up for 1Password. And this unique feature makes it the most difficult tool to crack. #3 Brilliant customer support: When it comes to serving the users, 1Password is the undisputed champion. Their support forum works 24/7 and it’s the fastest way to get the solution bof your problem after email and Twitter. When I contacted them using the forum, one of their agent answered my query within 2 hours (talking about speed, ha)! #4 Compatible with all devices: 1Password has apps for both iOS and Android and it works smoothly with almost all the devices like Mac, Windows, Linux. It also supports the Chrome, Safari, FireFox and Opera browser. #1 Complicated user interface: I’m not the biggest fan of 1Password’s user interface. It has the most complicated one and a new user will have to scratch his or her head twice to find even the basic features. #2 Issues signing in to the vault: While the ‘secret key’ feature of 1Password makes it safer than its competitors, it also sometime makes it very tough for the users to access their accounts. 1Password says you automatically generates a secret key when you first sign up but it didn’t generated any secret key for my account nor I had any ‘emergency kit’ (a PDF file that automatically gets downloaded when you sign up for 1Password). 1Password offers multiple plans for individuals, families, businesses as well as enterprises and is one of the cheapest paid password managers. The cheapest plan starts from $2.99/mo when billed annually but they don’t offer any free version of their tool. Though you can try their premium plans for 30 days for free and it doesn’t require your credit card details too. Overall, 1Password is a great tool with an awesome customer support but things can be a little better if they start focusing on the usability of their tool. In short, you can try this tool if you are used to of using tools with tricky UIs. Keeper Password Manager aka Keeper Security is a cloud based vault that keeps all your data safe by using multiple layers of encryption. Keeper is the only tool in this test (along with Dashlane) that comes with PBKDF2 encryption along with the standard 256-bit AES which is the most common among all the tools. Besides its strong encryption, Keeper comes with many other plus points along with a few downsides that may upset some of the users. So, let’s take a look at each of them. #1 Has one of the strongest encryption technology: According to Keeper, they are ‘fanatical’ about protecting their user data. And they walk their talk by pairing up the standard 256-bit AES encryption with PBKDF2 encryption to make it impossible for anyone to break into your account (unless you tell them your master password). It protects your data with multiple layers of security keys. And even though, Keeper is a cloud based vault, it’s a ‘zero-knowledge’ tool. That means it only saves the encrypted data of users. All the decryption happens in the user’s device. …fill in all the details and click ‘Save’. As simple as that. #3 Keeper Chat: Sure, like all the other tools of this test, Keeper also has a sharing feature where you can share a folder or password with other people. But what makes Keeper special is its ‘Keeper Chat’ feature that lets you chat with all the users in your group (those who are sharing the folder or password) talk in real time. It’s like their own built-in WhatsApp or Messenger. This feature is essentially handy for a team or business that uses Keeper to share passwords. #4 Export all your data: Though Keeper doesn’t have an offline feature yet, it does let you export all your data in a PDF or .CSV file. Similarly, it also lets you import all your sensitive data and passwords (of different accounts) with just a few clicks. #5 Available in all devices: You can use Keeper security in all the devices. It compatible with Android, iOS, Mac, Windows, Linux and also supports all the latest browsers like Chrome, Safari, Edge and FireFox. #1 No free plans: I agree that Keeper Security has one of the safest encryption technology and offers a large set of features to its users but it lacks a free plan for those who can’t afford to pay for their product. They sell three plans – Individual, Team and Business. The cheapest of them all starts from $2.5/mo when billed annually (yes, it offers a free trial of their premium products but only for 14 days). #2 Slow Customer Support: The customer service of this tool is not as responsive compared to the other competitors like 1Password or Dashlane. When I reached out to ask a general question about my account, it took Keeper almost 30 hours to get back with me with more details. #3 Issues signing in: Another issue I faced while using this tool is with its sign in process. Strangely, it kept showing me password error even though I was entering the right one and after five attempts, it locked my account and compelled me to generate a new one (password, not account). Since Keeper doesn’t offer any free plans to its users, the cheapest premium package comes with $2.5/month when billed annually. Do I recommend Keeper Security? If you’re planning to invest on a paid password manager, then Keeper definitely could be a good bet for you looking at all the different features and strong encryption it offers at that price point. Zoho Vault is a subsidiary of an Indian company (Zoho Corporation) that helps you keep your passwords and other private data safe from piracy. Zoho is a very basic tool when we compare it with the other softwares I analyzed in this test. However, there are still a few things that make this product worth at least giving a shot. So, let’s find out what these things are. 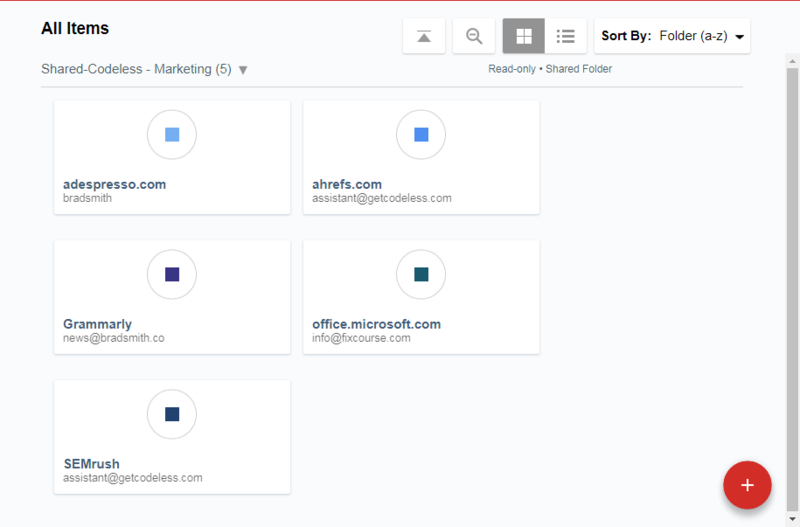 #1 Integrates with many productivity apps: Zoho Vault can be easily integrated with many popular directories and productivity apps like Zendesk, Google Suites, Microsoft office-365, Azure, Lucidcharts etc. Plus it provides a ‘single sign-on’ for all these cloud apps. That means, you can directly launch these apps from your Zoho vault with a single click. The only catch is, you have to buy at least their ‘standard’ subscription package. #2 User-friendly dashboard: When you login to your Zoho Vault, a video demo under the ‘Dashboard’ tab shows you how to find and use the basic features of the tool. Just beside the ‘Dashboard’ tab, there’s ‘Secrets’ tab and this is where you can save your passwords and all the other details. As you can see it’s super-clean with plenty of white space, making it easy for the users to navigate the vault and explore other options. #3 Offline availability: In my test, I found that Zoho Vault is the only tool that lets it users access their passwords offline. Click on the ‘Tools’ tab and you’ll land on the Offline Access page. It lets you download all your secrets (saved data) in encrypted HTML format which is as safe as the online data because you are still required to enter the passphrase to see the offline data. And it can be seen in any browser. #1 No multifactor authentication: Even though Zoho does offer a two-step authentication to its users, unlike its competitors, it doesn’t offer any multifactor authentication which is more secure than the former one. #2 Slow Customer Support: The customer support is little slow in answering the queries of its users even though I had selected the ‘Emergency’ option while sending my question. It took them around 36 hours to get back to me however the answer was satisfactory. 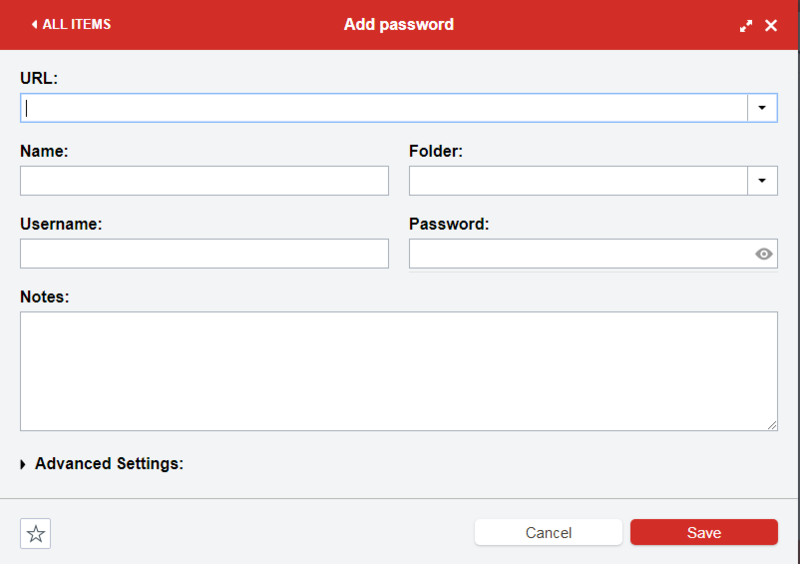 #3 No form-fill: At present, you can save and autofill passwords only on websites. It doesn’t work in other forms like payment details, address details etc. Zoho is still working on this feature. Zoho is the cheapest password manager that I analyzed in this test. It has four plans – Free Forever, Standard, Professional and Enterprise. While a free account, of course, won’t cost a penny, the Standard subscription starts from $0.9/mo billed annually which is still dirt cheap. Do I recommend Zoho Vault? See, if you’re looking for a basic password manager just to keep a few passwords safe then definitely go with the Free Forever plan of Zoho (no need to spend even $0.9 for the standard pack). But if you’re looking for a more sophisticated password manager and even ready to spend a few dollars every month then it’d be wise to spend your money on something like LastPass or Dashlane. Overall Zoho is still a great option for those who are looking for a free password manager tool. After analyzing all the five tools, the first thing I noticed more than 50% of the features are common or same in all the five password manager tools. Like all of them are equipped with 256-bit AES encryption, all of them claim to be zero-knowledge tools (they don’t store your data), all of them have autofill, password generator, audit report feature etc. But the quality of their feature is something that makes tools like LastPass and Dashlane a better option than their counterparts. So if you’ve tons of confidential data to save and you’re quite serious about it then I’d recommend spending a couple of bucks every month on tools like LastPass and Dashlane. Otherwise, if you’re just an average user who wants to save a few passwords, feel free to use a cheap/free option like Zoho or Keeper. Login Lockdown is reader supported. We might earn a small commission if you purchase one of the tools we review here.